Are ultracapacitors poised to replace batteries? The automotive market seems to be approaching a tipping point in its pursuit of an adequate audience for environmentally friendlier vehicles. Consumers are more aware than ever before of the benefits of conservation. That awareness, combined with acute pain in the pocketbook every time world events threaten oil supplies, translates into demand for greener cars and trucks. If the automotive supply chain is to respond effectively, many of the answers come down to components and a new approach to energy storage. Greening manufacturing and energy production is complicated but possible. Perhaps the most significant changes that we engineers can make are those related to using energy more efficiently, thereby reducing the aggregate annual consumption of fuel. Systems must be designed with efficiency as the primary objective, but we need to gain a clear understanding of which seemingly efficient solutions actually harm the overall goal. Hybrid power plants can be more complicated than the engines of traditional, gas-powered vehicles. They typically consist of an internal combustion engine operating with a battery bank or a fuel cell. Their complexity stems from the more sophisticated control system that is required to make the two power sources work together. Microcomputers coordinate the hybrid power plants, which include harvesting systems that take advantage of energy that would otherwise be wasted. For example, the heat that is dissipated in the braking system of a car can be stored and put to use elsewhere. Such systems harvest the otherwise unused energy to power the car. We need to design control systems for functionality as well as safety, always preparing for the possibility of a system failure. Regenerative braking systems consist of both an electric brake and a mechanical brake. The combined system has built-in redundancy to ensure safety. The controller directs the regenerative energy produced to a storage element, which is then used to assist the vehicle as it accelerates from the braking scenario, whether a full stop or a slowing down of the vehicle. So we need to an efficient way to store the energy that is produced in the regenerative braking process. Ten years ago, there was nothing commercially available to meet the needs of a regenerative braking system. Today the problem can be solved using a relatively new device, the ultracapacitor. 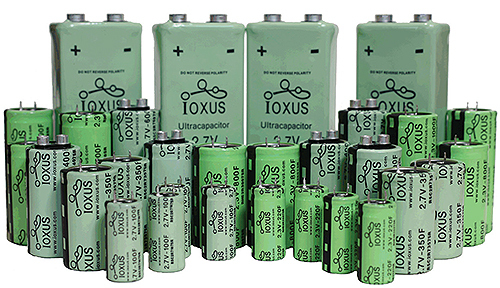 According to Brendan Andrews, vice president of sales and marketing of Ioxus Inc., ultracapacitors can store an immense amount of energy and have a response time far faster than batteries. The use of a battery in a regenerative system would severely limit the amount of energy that could be stored due to the slow charging rate of the battery. However, this problem is eliminated using capacitors, as the rate of charge is rapid, allowing the amount of regenerative energy stored to be much greater. Not only can ultracapacitors be used in a regenerative braking system, they can also be used in concert with the starter battery of a traditional car or the battery pack of an electric car. 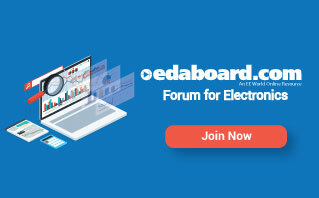 Using them in parallel with the battery or battery pack makes it possible to use fewer batteries or lighter duty batteries, and every element of an ultracapacitor is non-toxic, said Andrews. The use of ultracapacitors in automotive power plants represents but one of many engineering advances in making the automobile, and by extension the automotive supply chain, more green. And once proven in the automotive sector, ultracapacitors may find themselves being used throughout other parts of the manufacturing chain.